So what did this pair and Ford have in common? In 2008 something big did not happen. A crisis was averted and we were spared some dubiously badge-engineered cars. In 2008 Ford told General Motors that a merger was off the cards. Yup: the General (and most of the industry for that matter) was in trouble and in desperation considered a merger with its arch nemesis. GM with Ford. Yup: you read that right. On the eve of the downturn the major auto players were running out of cash. And fast. Brands were dumped; concessions were negotiated for the lucky employees who had survived countless rounds of restructuring. Fiat merged with Chrysler. Ford merged within itself, mortgaged its house, grounds and estate. It even mortgaged its badge, the blue oval. The best of its regional cars were then globalised, ridding itself of duplicated product lines. GM could not do that. While it was larger and swaggered about with its famed balls-out arrogance, it had little equity in its brands and Wall Street didn’t want to lend it any cash. Without cash flow, the General would have ground to a halt. Big? Big deal. So why not sleep with the enemy (another film reference, sorry) and become General Ford? With fewer overlapping costs and a combined share of the pie, General Ford could command a huge international presence. Never mind MG Rover, the loss of a GM or a Ford would have been detrimental to the global automotive supply chain and subject further pain upon an embattled industry. Ford Pull up a chair. We’d offer biscuits but the budgets have been slashed. Anyhow: Who would run Ford GM? We are worth more than you, after all. GM We are on a diet, so no worries ‘bout the biccies. So then, who would run the show? We sell more, so we should be in charge of General Ford. But hey that’ll all come out in the wash. As it stands we are low on funds and cannot borrow any more. But if you moved in with us Wall Street would sit up and take notice. General Motors….uurrr General Ford would then prosper! Ford (You are coming to us because you are going broke and we could be your lever. How arrogant. Call security….). Sorry but no. 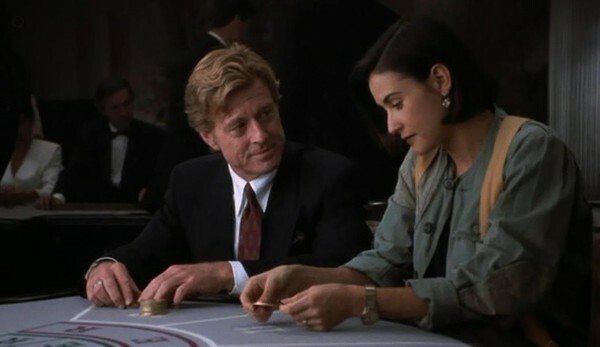 Hope everything works out…..
GM’s indecent proposal was turned down. In the end they went to the US Government. The failed merger saved us from the Austin Morris Rover Triumph shenanigans from yesteryear. Calamitous corporate moves that kept executives in jobs while destroying the wider economies. As the saying goes ‘Whenever Detroit catches a cold, we contract pneumonia’. Could Ellesmere Port have survived a merger? Or even Luton? With Ford’s vans going global would a plant manufacturing French vans be required. What about Ford’s car making capability in the UK? Oh, Ford doesn’t make cars in the UK anymore. So what maketh a brand? It is product. A General Ford product range would have had appeal in certain areas, starting off with GM’s Adam und Viva, leaving Ford’s global Fiesta to replace the dear old Corsa and plug gaps in markets GM could not reach with a less-than-inspired Chevrolet. But could that approach have worked? Synergies and badge engineering can deliver dividends on paper, only to result in a range of white goods, such as GM’s most global product, the Vauxhall ‘Combo’ commercial vehicle. A white good that, coincidentally, comes from arch rival Fiat Chrysler. A huge presence is one thing, but emotive feelings and branding are another. At the Bathurst Races down-under you are either a Ford or a Holden fan. Across the globe the blue oval is seen by some as a powerful brand in its own right, comparing favourably with Vauxhall or Chevrolet. I could also mention Pontiac, Oldsmobile, and Saturn but they are less known in the UK and are dead anyway. These brands joined SAAB in the GM brand scrapyard, having been culled or left to wither on the vine. Remember what made the likes of Rover unique? Such cars had irreplaceable DNA, only to be dumbed down and destroyed in a bid for the parent company and its leadership teams to survive. It’s what happened to SAAB and Pontiac, and with General Ford the pattern could have continued. Thankfully Ford and GM have come out the other side, single and as (mostly) reformed characters. But knowing the old General, Ford could have ended up as just another badge…. Previous 2014 – Goodbye to all that!